We have carved distinct position in the market by offering Casual Sport T Shirt. The most unique feature of the range is that it is sweat absorbent making it best wear during exercise or playing. Premium quality range is soft on skin and is color fast in nature. We ensure quality of the product by conducting various checks and tests at various designing and fabrication level. Sri Ramakrishna Knitting Works got established in the year 2005 as a Sole Proprietorship based firm. The operational head is located at Tiruppur, Tamil Nadu (India). 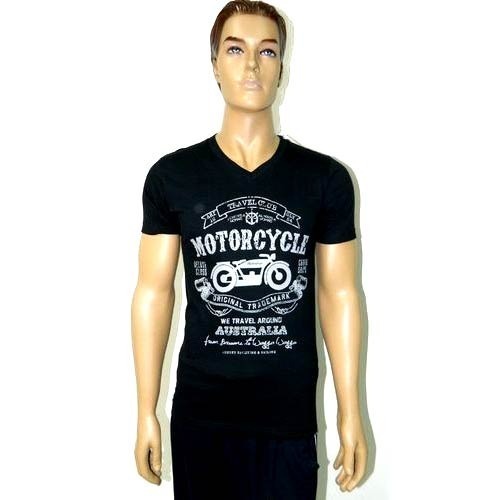 We are engaged in manufacturing, supplying and exporting wide range of products that include Boys T-Shirt, Ladies T-Shirt, Kids T-Shirt, Casual T-Shirt, Girls T-Shirt and Men's T-Shirt. Clients can avail from us a vast range of products at affordable rates. These are fabricated using premium quality fabric and latest techniques in order to have quality ranges in the industry. Perfectly finished and intricately designed these products are available in unique prints, textures and colors. Backed by the years of experience and expertise, we are engaged in offering a wide range of products to meet the needs of our clients. Our team of professionals performs their function enthusiastically and with utmost dedication. We source the material from the reliable and best vendors of the market. They have created a renowned position in the market. Further, our infrastructure is outfitted with latest technologies and machineries in order to have streamline business operation. We can also supply t-shirt with label. Our facility is managed by our team of experts that perform their function in a systematic manner. All these are stringently tested and analyzed before delivering to the clients, rendering maximum clients’ satisfaction in a best possible manner. We exports 90% of our products in Europe, Sweden and Germany.